Daryl Johnson (Worcester Park, United Kingdom) on 8 February 2018 in Animal & Insect. 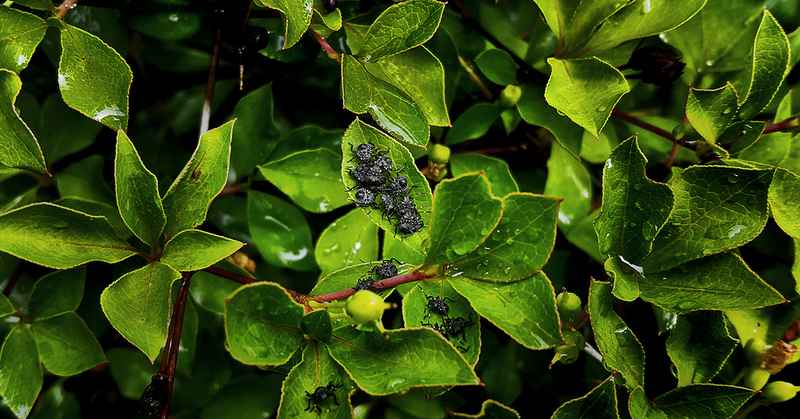 I found this gathering of kamemushi (stinkbugs) in my parents-in-law's garden. Ah, yes, word must have got round ! @Ronnie 2¢: Luckily they kept the noise down. Oh, they are working ! A beautiful capture of the happy bugs and pretty leaves.